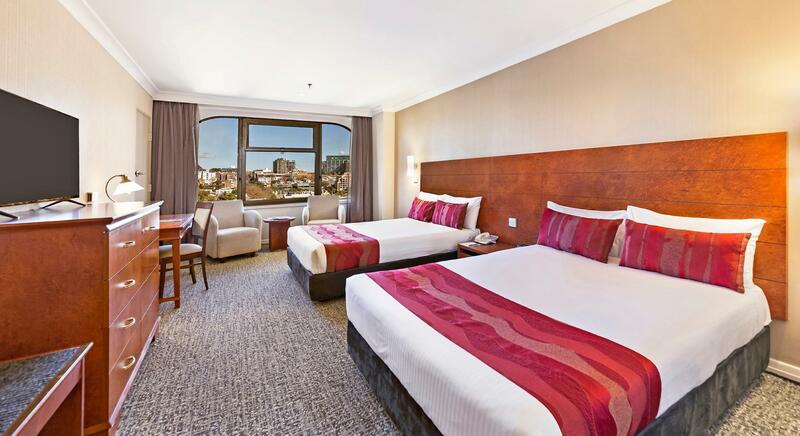 Have a question for The Sydney Boulevard Hotel? "Great location with an easy walk to the Opera House." "The room had an amazing view from the 17th floor." "the staff was very helpful and welcoming ." 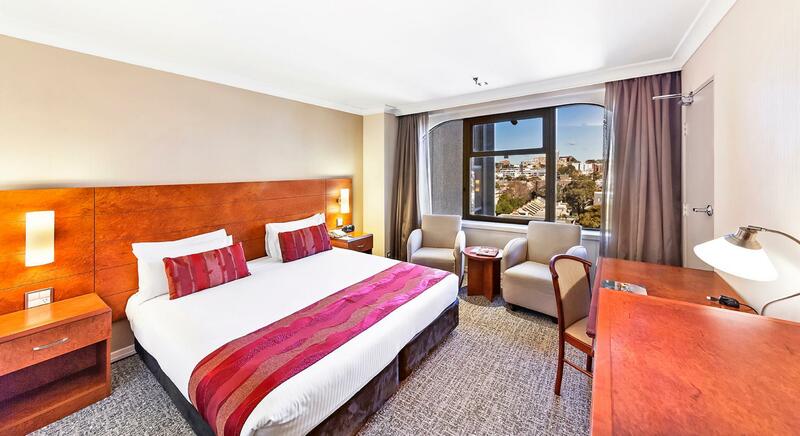 Set on William Street, just minutes to attractions in Kings Cross and Sydney’s central business district, The Sydney Boulevard Hotel offers guests comfortable accommodation in a perfectly accessible location. 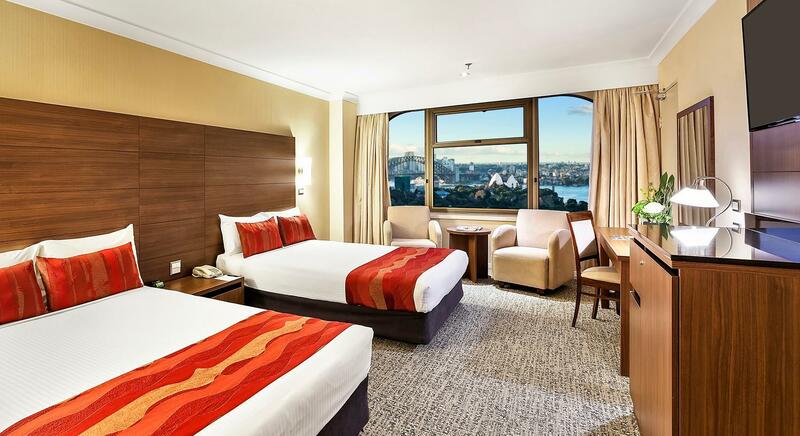 Attractions close to the hotel are Cook & Phillip Park Aquatic & Fitness Center, Hyde Park, Australian Museum, Oxford Street, Botanical Gardens, and Sydney Opera House. 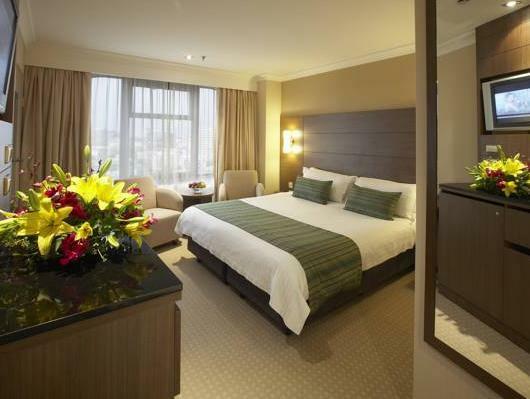 The rooms have modern amenities and afford beautiful views of the city as well as the iconic harbor. The hotel’s facilities list a 24-hour business center, fitness room, steam room, sauna, and undercover secure parking. Highly recommended is The 25th Cocktail Bar, where tasty drinks can be enjoyed alongside the panoramic city views. The hotel features a variety of outlets from café to an espresso bar. The combination of the hotel’s excellent on-site service and its proximity to these surrounding attractions make it an ideal stop on anyone's itinerary. Pretty nice hotel but little bit far from CBD little bit noisy from next door especially when you stay in connection room. Next room customer made big noisy and crazy people at 3am so I couldn’t sleep well but someone complained to receptionist and they approached the room and solved it. Hotel staff was nice and cleaned room every day. We could catch buses nearby to Central Sydney or walk 10 mins to two train stations. Walking through the park didn’t take too long. Very helpful and informative reception staff and concierge . First visit to Sydney, we would definitely choose this hotel again. Breakfast a bit pricey for a basic buffet but downstairs cafe offered a good continental breakfast. I only stayed one night - the wifi went down in the whole building, but other than that everything was fine. Spacious room w everything including harbour views. 7-10min walk to St James station. 5 mins to Hyde Park. 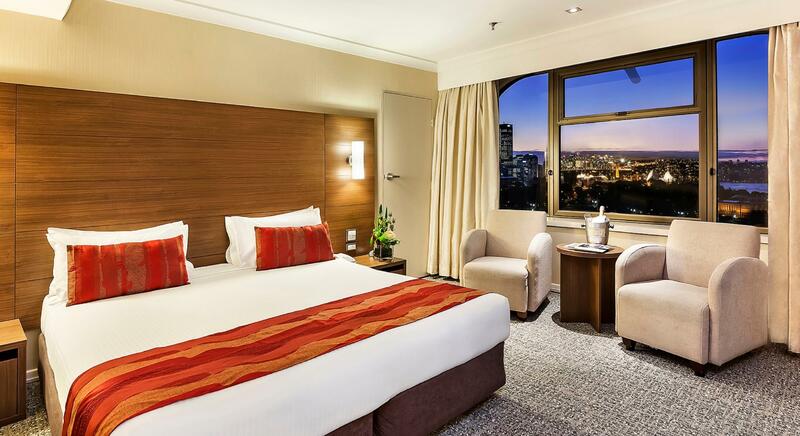 The hotel is close to popular tourist attraction like St Mary's Cathedral and Hyde Park, also Westfield Mall and Sydney Tower Eye. Metro supermarket is just around the corner, and it only took us around 30 minutes or so to reach Sydney Opera House on foot. We stay just opposite the storage room , the house keeper always make noisy every morning and they put used tower “mountains” out side of storage room then let the door open... too many towers to close the door. That made us couldn’t easy enter my room. Also fridge and air con are making noisy especially clear at night. We’ve stay 2 nights and the house keeper knocking my door around a quarter to 8 and ask me when you guys going to check out. I am really pissed of...but I still left my tip for her. The only thing I can mention with they really got excellent service attitude on front desk. We booked 2 standard rooms at approx $157 per room. One room was upgraded to a Deluxe City View. Both rooms were very clean and the beds very comfortable. 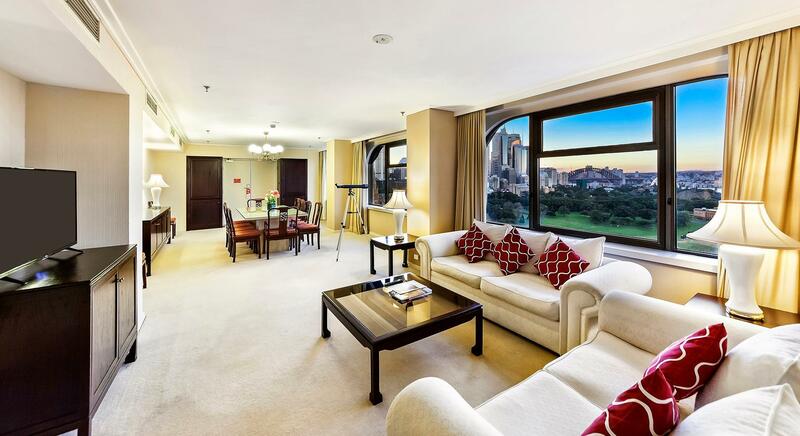 Location is fine and is a nice walk into the CBD shopping precinct. Staff were fantastic. I stayed here on my first 2 nights in sydney before going to Melbourne and the service was just brilliant and I returned here again for my last 4 nights in Sydney and again service was brilliant, i arrived in ther morning but couldn't chweck in until 3 but i was able to leave my lugguage and when i went to check in later my luggage had already been taken up to my room for me which was great. i can not really find any faults. all staff are friendly, professional and always happy to help. I used room service and again that arrived to my room in good time and was great qulity and tasty. 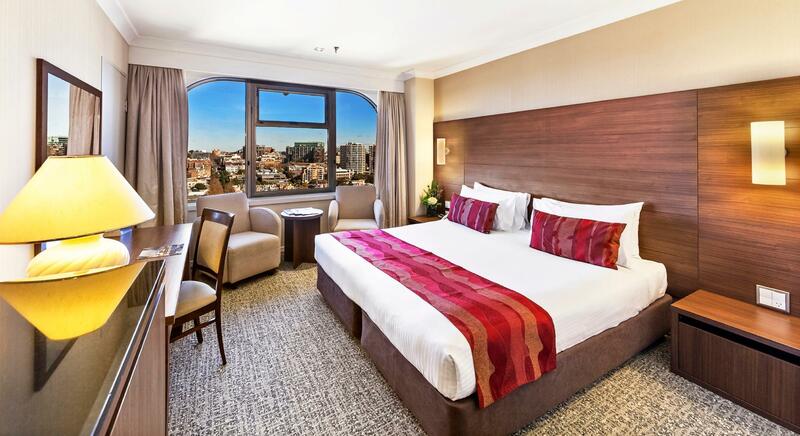 room and hotel clean and tidy and close to transport links and only about 20 minuet walk to the opera house and city. would def recomend. I loved pretty much everything with this hotel, staff were so helpful and friendly and they really couldn't do enough, even just passing staff in the corridors they all spoke to me and made me feel welcome. 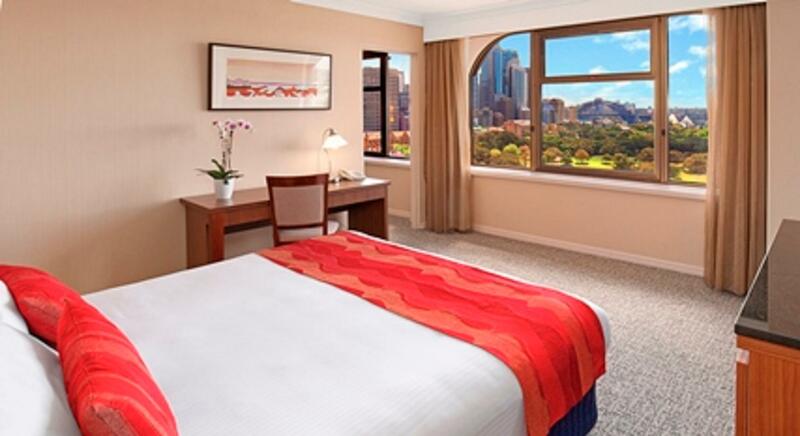 Im returning to Sydney at end of May for few night and have rebooked to stay here. Highly recommended accommodation. Location is great as close to CBD and transport links, the buffet breakfast had a god range to choose from. i stayed 5 nights at deluxe harbor twin on 17th floor and the view was fantastic, much better than i expected. it's a little far from the CBD and Circular quay which is a major traffic point but it's still a walking distance. The night view is absolutely amazing. I want to say thanks to Julian at the front desk for helping us out when we checked in. My wife wasn't feeling well after a turbulent flight into Sydney and Julian went the extra mile to quickly find and check us into our room. Thanks Julian, you are the best !!!! The room was great........comfy beds, great shower, great amenities. Coffee (which I drink 3 cups a day), tea, crackers, sugar, shampoo, conditioner, shower cap, q-tips, hair dryer, fridge. The location is great. Nice safe area, about 5 minute walk to Hyde Park, 25 minute walk to Sydney Opera House, 15 minute walk to a couple malls. Metered taxi from the airport was 57 Australian dollars (8 am traffic). Metered taxi from the hotel back to the airport was 50 Australian dollars (no traffic at 4:15 am). Could use the plug in the bathroom for electric razor, recharge a phone (could plug in a standard 2 prong plug from the U.S.). All other outlets were Australian type. 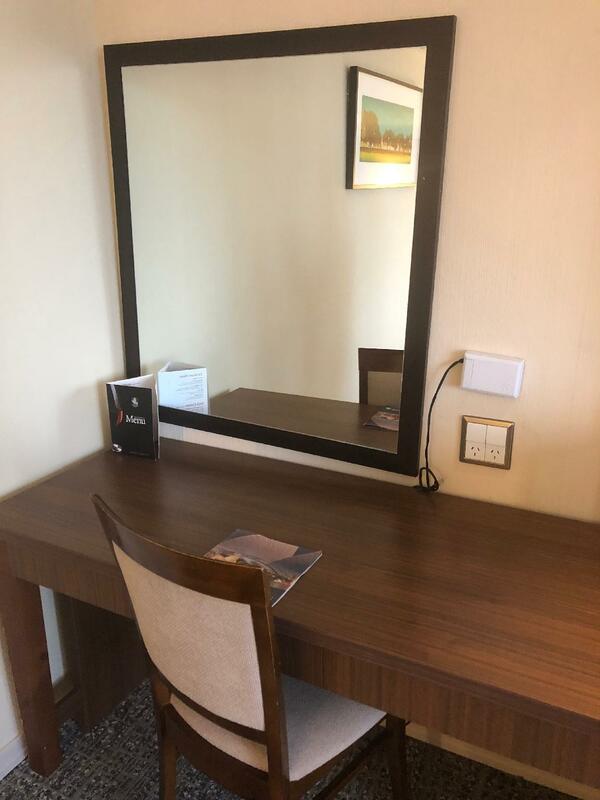 It's a very convenient location with Woolies and cafes next to the hotel, and the heart of the city just 10 mins walk away. We get an unblocked view from our room so that is a plus. The staff were excellent, going out of their way to make sure we are taken care of. Some part of the facilities, such as the lift and bath room looks a bit tired, and the room walls aren't exactly sound proof, but the room is spacious. Will stay there again.